The EL1094 digital input terminal acquires the binary control signals from the process level and transmits them, in an electrically isolated form, to the higher-level automation unit. Four 2-wire sensors can be connected to the EL1094. 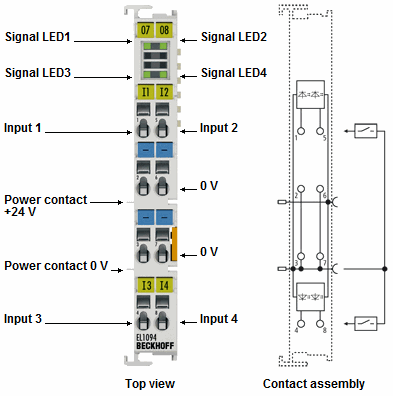 The EtherCAT Terminal indicates its signal state by means of light emitting diodes.